A few pictures of buses from the towns and cities of the North West, including pictures taken in the 1980s of Chester's municipal fleet. 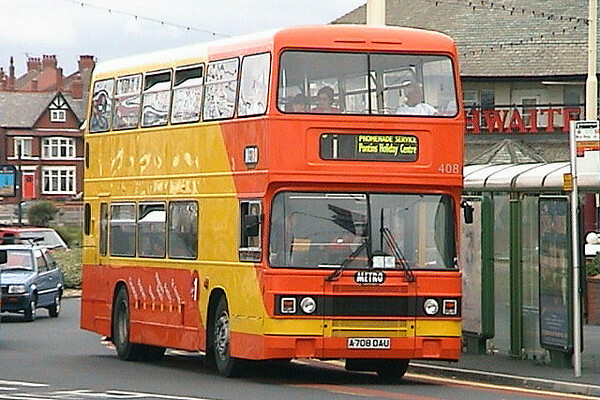 Blackpool 408 (A708 DAU), a Leyland Olympian/ECW H45/30F, formerly Trent 708. 27th May 2003.